On Thursday, the government launched a new reporting system for deaths resulting from medical care. The iryojiko chosa seido (medical accidents investigation system), created based on last year’s revisions to the Medical Care Law, is aimed at preventing recurrences of medical accidents and ensuring patient safety. Under the system, all of the nation’s 180,000 hospitals and clinics are mandated to investigate “unexpected” cases of patient deaths themselves, regardless of their legal liability, and report the results to the next of kin and a third-party organization. Does the new system cover all medical accidents in Japan? No. The system targets only “unexpected deaths” in relation to medical care. It is up to the heads of the medical institutions to determine whether the deaths could not have been anticipated. Also, since the system focuses on deaths that apparently resulted from improper patient care, it only covers those who died. Once a hospital concludes an unexpected death has occurred, it will probe the case. Their investigative teams must include outside experts to ensure impartiality. 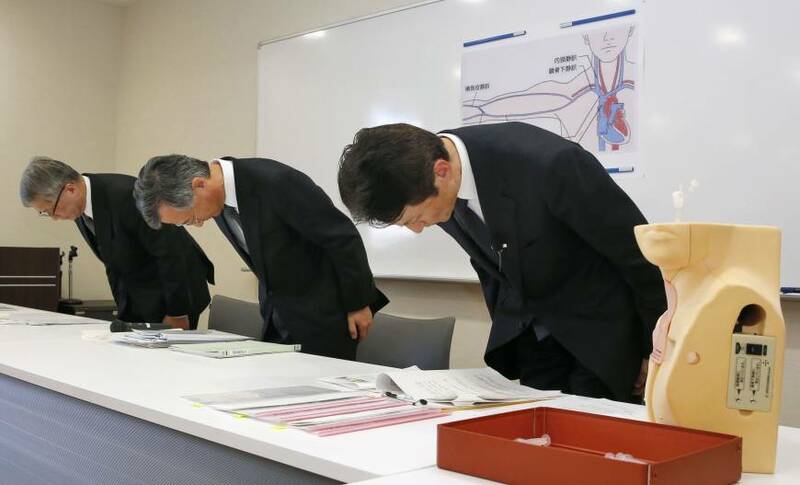 They must explain the results of their investigations to relatives of the deceased, and submit a report on each case to the Japan Medical Safety Research Organization — the health ministry-designated independent body held responsible for handling all reports. The names of doctors and hospitals are withheld in the reports. The organization’s job includes analyzing the information and proposing steps to avoid repeated fatal mistakes. What do the in-house investigations entail? The investigative team will examine medical records, interview doctors and others who provided care, and if necessary, interview the next of kin. They will perform autopsies or Ai — postmortem imaging before an autopsy — if they think they can gain further insight into the deaths, and if they have the consent of relatives. If the next of kin are unhappy with the conclusions made by the hospitals, they can ask the JMSRO to reinvestigate the cases, for a fee of ¥20,000. Why was the new reporting system created? The system was established in response to longtime calls by the public and medical community to create an independent, third-party mechanism to investigate medical errors and learn from them. A spate of serious accidents in the late 1990s sparked a public outcry and enhanced calls for patient safety. In January 1999, a patient mix-up at Yokohama City University Hospital resulted in surgeons performing cardiac surgery on a pulmonary patient, and pulmonary surgery on a cardiac patient. In another case that took place in February the same year at Hiroo General Hospital in Tokyo, a nurse mistakenly injected an antiseptic into a patient, who immediately died. The mistake was caused by improper labeling of medications. While these cases led to criminal prosecutions of the doctors and nurses involved, many in the medical community have argued that courts are not the best parties to deal with all adverse medical events, as judges do not have the high-level technical expertise necessary to determine often-complicated causal factors or to advise on error prevention. Patients and their families have also found it hard, mentally and financially, to sue hospitals. Not particularly. Across the world, there are two types of reporting systems: one focusing on learning and facilitating reform of hospitals, and the other focusing on pursuing public accountability, according to the World Health Organization. The Health, Labor and Welfare Ministry says Japan’s approach is the former, thus it won’t punish anyone, and will keep patients and hospitals anonymous. Are we seeing more medical errors? 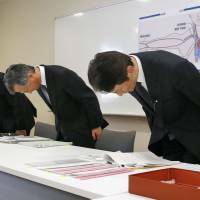 The number of reported cases in Japan is rising, but experts say it’s largely because hospitals are coming forward and making more of their cases public, whereas in the past, they tried to hide them. Because there has been no reporting system covering all medical institutions, the total number is unknown. According to the Japan Council for Quality Health Care, 3,194 adverse events, including those that resulted in the death or injury of patients, were reported by 993 institutions in 2014. That’s 2.5 times more than the number reported in 2005, when 555 institutions reported 1,265 cases. Reports to the state-affiliated body are mandatory for large hospitals, but voluntary for others. Is the system satisfactory for victims? Ikuko Yamaguchi, who has long been involved in the ministry-led process to create the new reporting system, said it is a big step toward making hospitals transparent and accountable, but still has shortcomings. Director of Osaka-based patient support group Consumer Organization for Medicine & Law (COML), which has offered more than 55,000 consultations to patients and their families over the last 25 years, she said the good news is patients’ families now have a way to find out the truth surrounding the deaths of loved ones without having to go to court. Until now, families had no option but to sue hospitals to have them explain cases in detail. To do so required hiring a lawyer at significant cost. Under the new system, it is the responsibility of hospitals and clinics to pay for the cost of postmortem investigations. But families can access such services only if the hospitals decide a case meets the “unexpected deaths” criteria, which Yamaguchi says will vary greatly from hospital to hospital. The patients cannot initiate the investigative proceedings by themselves. Also, hospitals are only encouraged, not required, to share the written reports that they submit to the JMSRO with the next of kin, with no penalties stipulated for not sharing them. Many hospitals are believed to be hesitant to share detailed facts on such cases with the families for fear such information will be used against them in court. Yamaguchi said, however, that the number of civil cases will decline if hospitals pursue full disclosure.